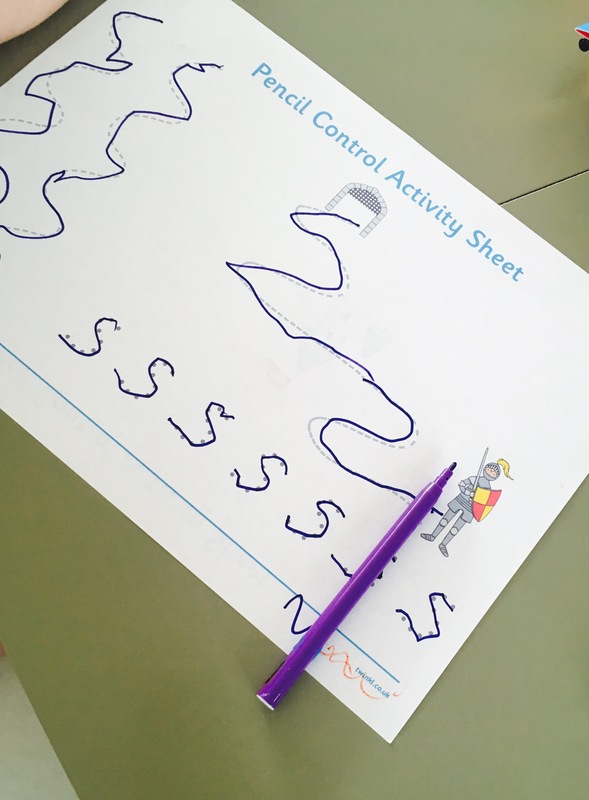 As part of our Castles, Dragons and Fairies Week on The SEN Resources Blog we’ve been practising pencil control and developing fine motor skills using Twinkl’s Castles and Knights Pencil Control Activity Sheet Pack. 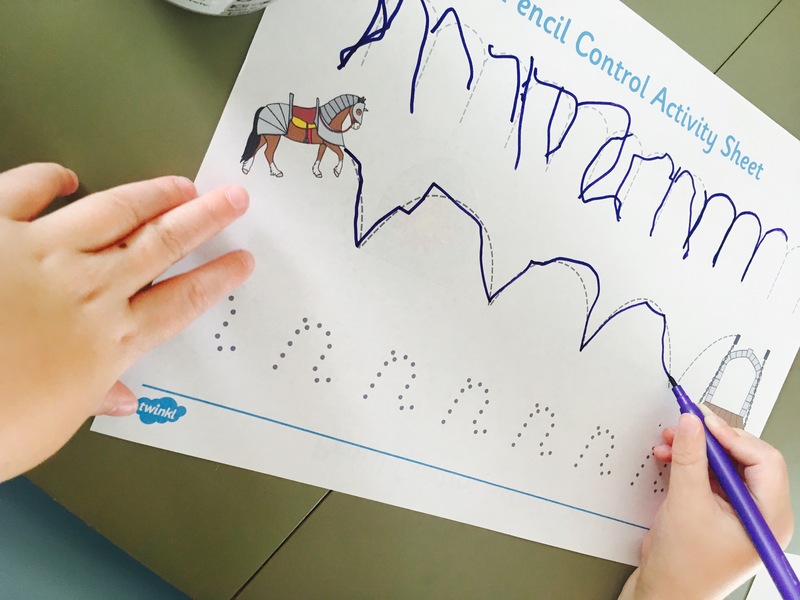 A pack of downloadable, printable activity sheets with lines for children to follow with their pencil. These activities help develop fine motor skills that will help enable children to learn how to form letter of the alphabet. Find more about fine motor skills here. Engaging- What was brilliant about this activity was the children didn’t even realise they are doing a ‘learning activity’. 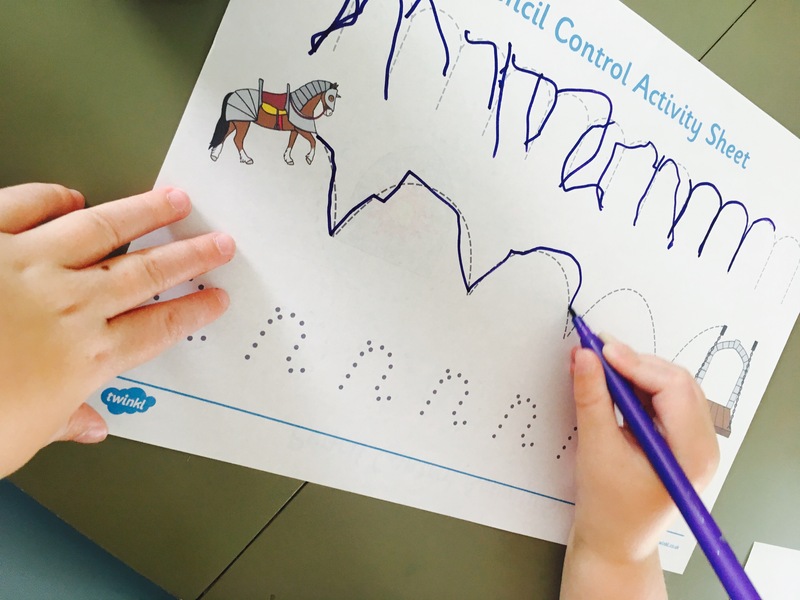 Whilst they were enjoying following the lines of the various Castle themed drawings…they were secretly developing fine motor skills, correct pencil grip and pencil control! Varied Pictures- The cleverly chosen castle themed shapes mean that children are also building up to practising how to form a few letters including e, s, o, w, n, z, l.
Sparks Interest- I loved how this simple activity got my children chatting about castles and knights and asking questions! It’s a fantastic resource to spark children’s curiosity about the topic. In my opinion, children often learn a lot more when they are self motivated to find out about something.